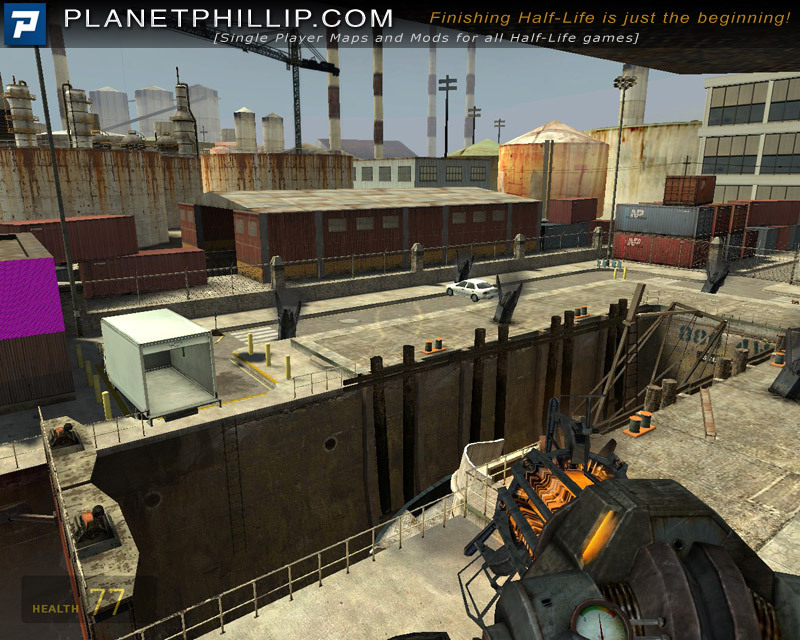 This map was originally made for HL2 Deathmatch but due to its nature it is possible to play it in Half-Life 2 or even Garry’s Mod. 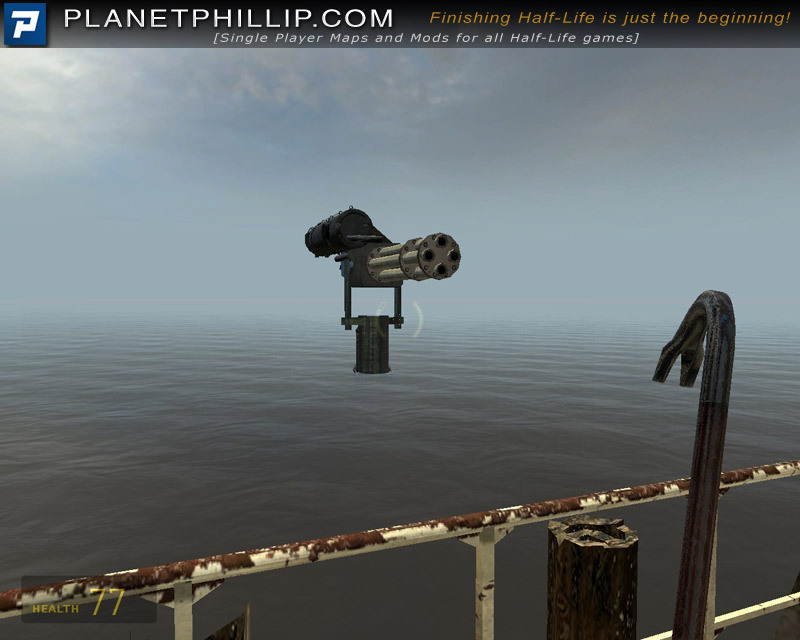 It takes place in a drydock and the player has the ability to start certain physics effects. It can be a resource hog, although being a few years old now most players shouldn’t have much trouble running it. 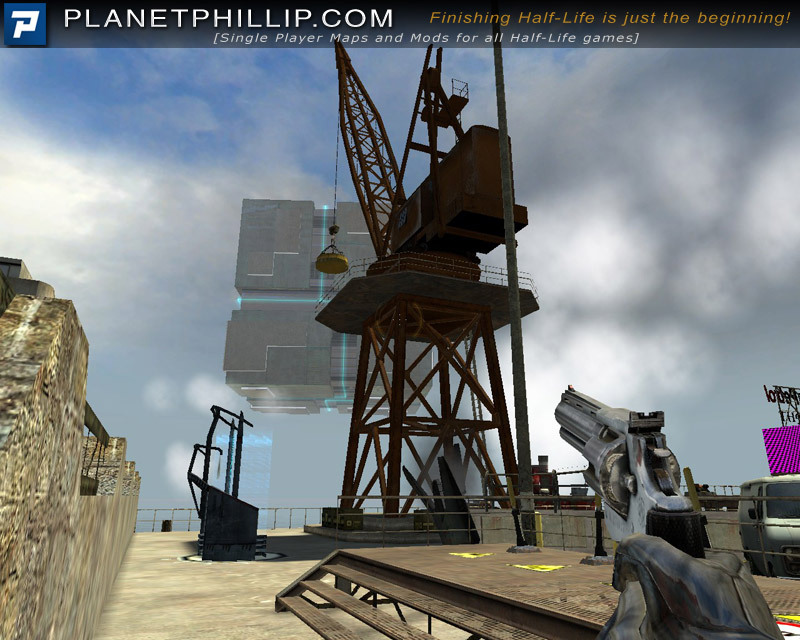 Copy phys_drydock.bsp into your Half-Life 2 Maps folder. Open the console and type map phys_drydock. I found this map by following links via few different forums. It’s amazing what you can find if you just wander around the Net. 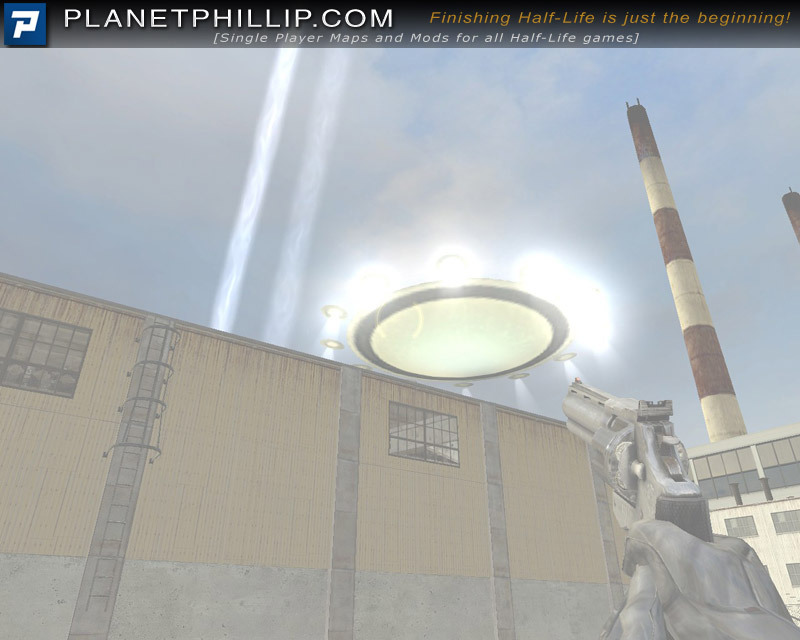 I subsequently found it over on FPSBanana and Garry’s mod but wouldn’t have known to look in their DM section. I may spend some time trying to find other DM maps that can be played in SP mode. Anyway, the map seems to have a texture error in HL:2 and I haven’t had time to find out the cause. It didn’t really make too much difference. This is a very nicely designed map, being outdoors it has plenty of light and generally looks realistic. Apparently some buildings change colour each time you restart the map. Here’s the slight problem. Whilst it fits my criteria of having one weapon and one enemy, it doesn’t really fit the spirit of the criteria. You need to press some buttons for anything to happen. However, you get to fight at least one headcrab and a Combine Gunship, so I have added it. It’s more to watch what happens, than actually play anything. There’s not really much too it but what there is seems well designed. You get five minutes of pressing buttons and watching some cool stuff, certainly better than “10 zombies in one room with a shotgun” kind of release. I personnaly love those, it shows a great skill with entities. You don’t have to press the buttons, however ! 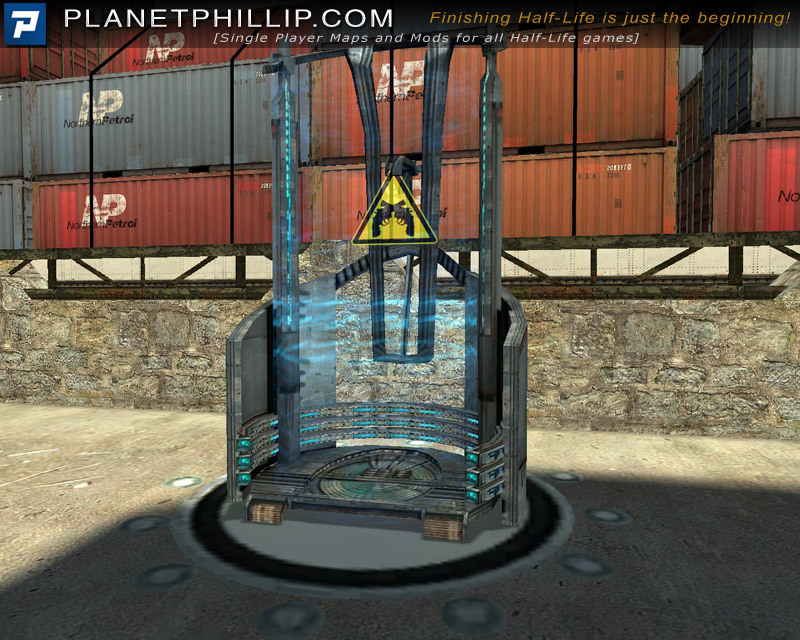 In phys_house, I used to destroy it all with the crowbar – really fun, each time different. This isn’t for everyone, but it is a bit of quick fun. I especially liked the giant magnetic cube. The ship rising out of the water is an awesome sight to behold! This is so odd that I cannot relate this to HL2 so do want to include a recommendation image. 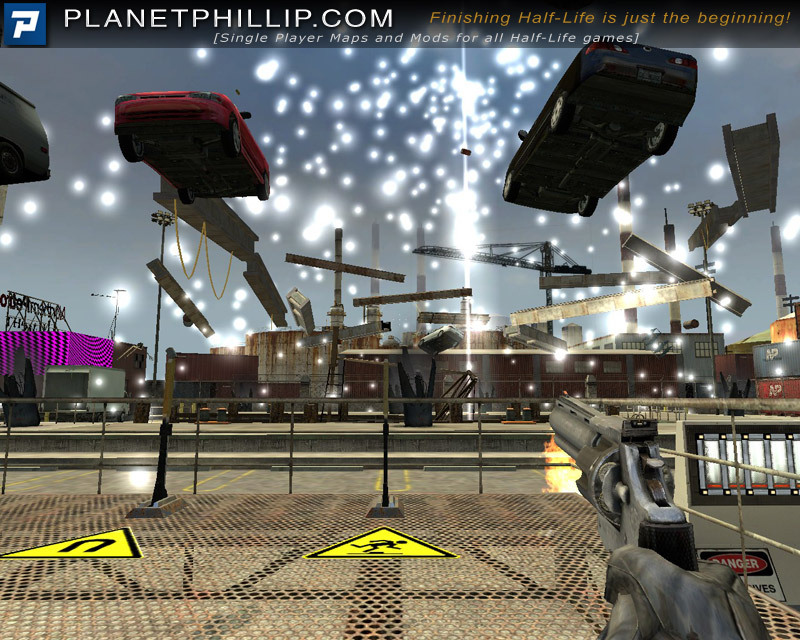 What you see in PP’s screenshots is what you get – some scifi special effects while you stand and watch. Leave the poor little headcrabs alone. I was going to post a MAYBE? image, but agree with Jasper, that this will amuse some while leaving others cold. I was one of the latter. I don’t “get it’. I’m going to say Maybe just because some people will like it and some people won’t. I didn’t, but I might if I played around with it longer and figured out what exactly does what. But this is my second time trying and I don’t want to try again. Hello. I’ve got a problem. 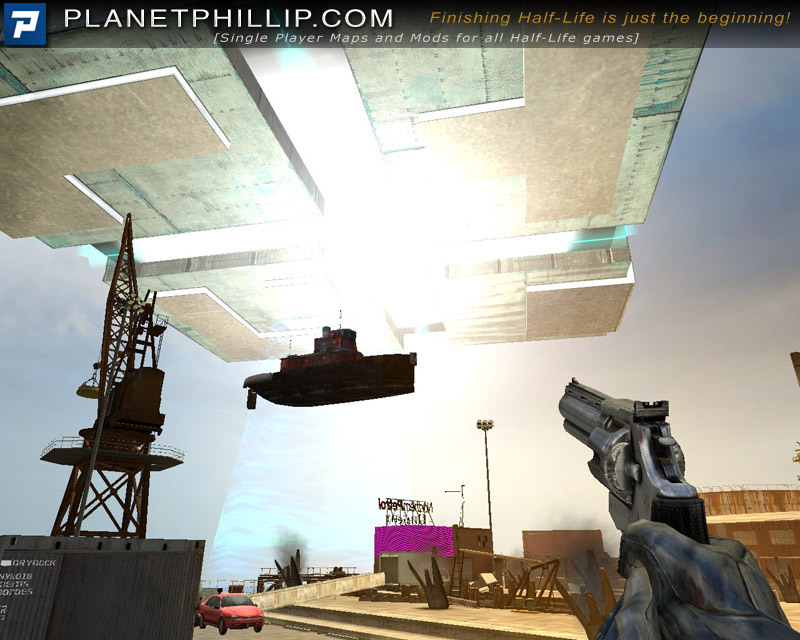 Whenever I want to load this map, hl2.exe stops working. Could anyone help please? It could be due to an engine update. I’ll try this map when I get home tomorrow and report back. Thanks Philip. I’ll wait until tomorrow then. 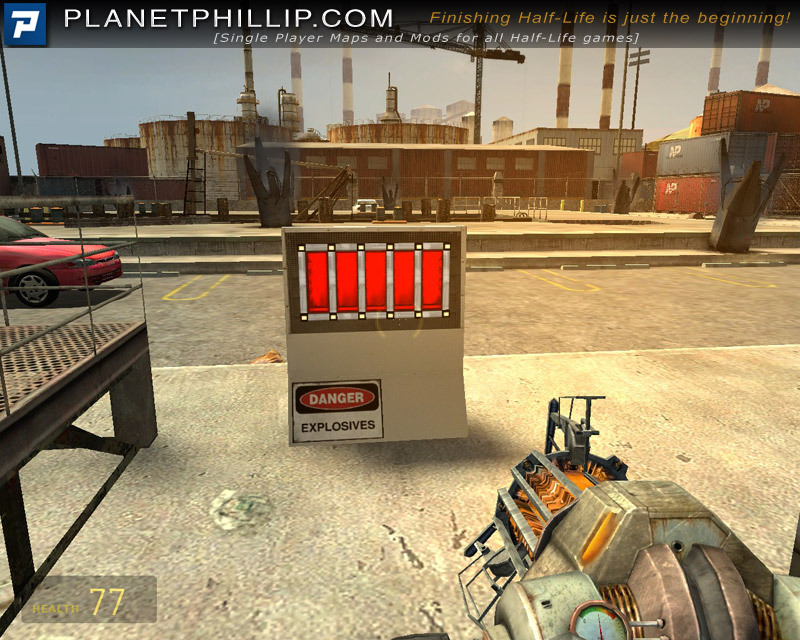 Okay, I just tried in both HL2 and Ep2 and it crashed both. Looks like it was something to do with the update, shame, because it was fun. I never got a chance to play it, too… Oh well, thanks for your effort though. Crashes to desktop when attempting to load map, I hear a sound then BAM! Closes to desktop, and the readme text is just gibberish. 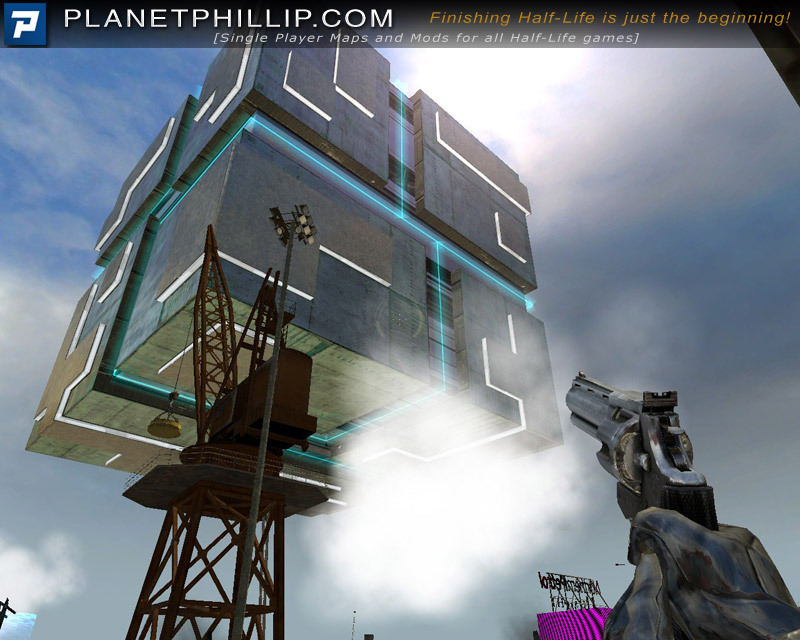 I deleted that map from my Half-Life 2 directory to save precious disk space. That’s weird since I played it before in the past.